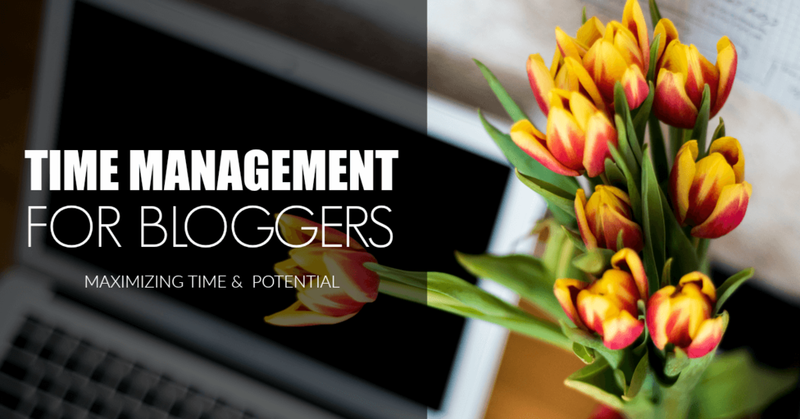 Time-management is one of the greatest obstacles for bloggers, especially when they’re trying to draw an income from their websites. There’s so much vying for our attention, how do we manage it all?! Today I want to share some key life management tips so that you can get more blogging done. Plus, at the end of this post I have the BIGGEST time management tip. You don’t want to miss out! I swear by lists. If I don’t have a list to start my day, I’m completely unproductive. Make sure to include errands, meetings, and blogging tasks on your to-do list for the day. Every day I commit to one cleaning task. I find that by doing this, I’m never overwhelmed by a big, time-consuming, cleaning day. If you want to see my cleaning schedule and get a FREE downloadable checklist for yourself, make sure to check out the post: My Cleaning Routine. At the beginning of every week, take twenty minutes to plan your meals. This saves time in that you’re not scrambling from cupboard to cupboard, trying to figure out what’s for dinner. Meal planning also saves you time in the grocery store because you know exactly what items you will need for the week. After I plan my meals, I write them on my handmade DIY menu board. I love it because everyone knows exactly what’s for dinner every night! I’m very fortunate to live in a community where I have access to Superstore Click & Collect program. For $3 I can order all of my groceries online. I simply show up during my chosen two hour window of time, and the groceries get loaded into my trunk! When I think of the time saved wandering around aisles in the store, waiting in line, buying my groceries, then loading the groceries into my trunk, I know I easily save 1-2 hours a week by doing my groceries this way! Crockpot meals (especially freezer-to-crockpot dinners) save me loads of time. I simply toss everything into the crockpot in the morning and supper is ready by 5 pm. Perfect! I reference a couple of crockpot cookbooks that I use for inspiring meal ideas but I also have an entire Pinterest board dedicated to crockpot meals. You can follow the board HERE! Don’t like crockpot cooking? Make sure to check out my 5 ingredient recipes post for a variety of quick and delicious meal ideas! Capitalize on the times when your kids are busy. My kids have memberships to the YMCA. I originally purchased their memberships because it entitled them to year-round weekly swim classes. However, I recently discovered that their memberships permit them to attend member-only drop-in programs as well! Once a week, I bring my girls to the YMCA programs and while they’re playing games and exercising, I’m at a table in the lobby working on blog projects. Do you have a family member who would just love to spend some quality time with your kids? Try to schedule some volunteers who will watch the kids while you get some work done. It’s amazing how much you can accomplish when you have 2-3 hours of uninterrupted time. Another way to get the help of family members is to delegate chores to everyone. The house will be cleaner a lot faster if one child is in charge of keeping the front entrance tidy and another child does all the dusting. One of the best ways to save time when blogging is to learn how to blog smarter. 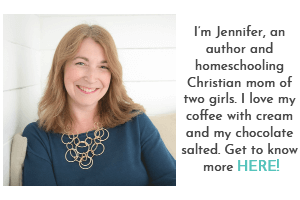 I write and manage two blogs while maintaining my husband’s website. 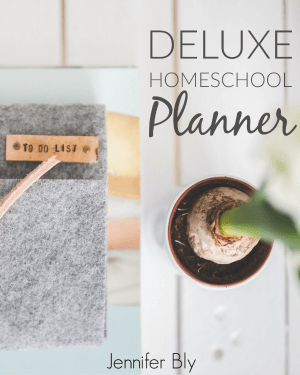 I homeschool my girls, and I still make time to exercise and participate in other activities and projects that I love! Often I’m asked how I’m able to manage my time so well. So, I took all my strategies and put them into a 10 module online course! Yes, that’s right my friends… I’m sharing all of my time management secrets with you! You can see the complete Time Management for Bloggers course outline HERE. Since this course is brand new and is listed at the incredibly affordable price of $47! You don’t want to miss out on this ground-level pricing! Even if you don’t have the time for a class right now, buy today and take it later. Your enrollment never expires. So tell me, how do you manage your time effectively so you can get more blogging done? Please tell me about it in the comments below and take a moment to share this article in your blogging communities! I’m so excited about this course. I’ve been wanting to document all my tips and strategies in one place for the longest time now! I hope you do check out the course. Thanks for sharing your thoughts on this Janine! I definitely agree that to do lists are your best friend. Also, doing things when your kids are busy is VITAL to me. Naptime are my grindtimes, where I get everything done, and then I do work after they go to bed. It’s what works for us! To to lists are the best. I am lost without mine. I’ve tried to “work” while my kids aren’t busy napping/resting/sleeping. I may have an hour of “work time” but it really ends up only being 20 minutes or so. I find it’s best just to keep those work times to when they’re truly engaged in other things. Thanks for sharing your thoughts on these strategies Morgan. Thank you for your time management thoughts! I’m really trying to find balance between blogging and keeping up with the rest of life. This post is helpful! I’m delighted that you found these tips helpful Teresa. Blogging can be very time consuming. That’s why I have a number of strategies to keep focused and save time! Thanks for sharing your thoughts on this Teresa. Wow, this sounds awesome, Jennifer. I know that you are super-duper organised and just the right person to offer this. I am sure it will be an amazing course. I will definitely spread the word! Thank you so much for your kind words of encouragement. I pray that my tips, tricks, and time-saving approaches will bless other bloggers so that they can have more time with their families and focus more on writing than all the other “stuff”. I just don’t know how you do it but I’m guessing that I might need that course because I just get so overwhelmed at times. Your tips will surely help me for sure and I’m sure it will help countless other bloggers as well who are just like me. LOL – yes, there are sooooo many strategies, tips and tricks that I use. I just knew I had to compile them into a course! I do pray that it blesses others so that they can spend more time with their families and/or creating the content that will help their sites thrive. I plan out my day the night before, allotting time for specific goals- otherwise they never get done ;) We also do one big grocery trip a month, which saves a lot of time. I wish we had your order-ahead grocery option, that’s so helpful. I’ll definitely spread the word on your course- sounds fantastic! I plan weekly and nightly. It really keeps me focused. The grocery service is amazing (and Superstore’s prices are already by far, the best in the city… so to spend $3 for someone to grocery shop for me… I still come out ahead)! Thank you for the spreading the word about my course. I’m pretty excited about it! Good suggestions. I really love crockpot meals. They are a real time saver. Crockpot meals are the best! They save me so much time during the week! Thanks for sharing your thoughts on this Betty. I have to say one of the biggest things I have learned from blogging is time management. I use to think there were so many things I couldn’t do because ” I didn’t have time.” I still have to be careful to not let my time get zapped by blogging but I am seeing how it is possible to do the things I love, still have a life and be there for your family! I so appreciate all your great tips and experience. I have learned so much from you! :) So excited about your course. You are living proof that you can manage your life and blog! Time management is essential with any work – including blogging! I pray that the tips, tricks, and strategies that I share in this course help people learn how to manage their time better – so that they can grow their websites without compromising time with their families. Thanks so much for your kind and encouraging words Rebekah. They greatly blessed me this morning. Love these tips- it is an area I really need to grow in! I’m delighted you enjoyed these tips Keri! Effective time management takes patience, focus, and practice… that’s for sure! What is your second blog? Oh, yes, I remember now! I’d love to order groceries. That would be awesome. I also need to plan meals better. I hate cooking, so this would probably help. I love meal planning – the family likes it too. Plus ever since my oldest started reading… she never asks what’s for supper because she can read it! I started your course! Since I’m trying to not let my blog take up as much time as it used to I’m looking forward to this course helping me be more efficient with the time I’m allowing! Yup! I definitely need this. Especially since blogging is actually becoming a career for me, so I do need to organize other aspects of my life. Meal planning is a big step for us. I also hired a cleaning service because I couldn’t bear the messy house thing anymore. A daily schedule works wonders for me. Skilled and wise time management strategies are vital when trying to make a profession out of blogging… for sure. I love that you hired a cleaning service. That may be on my wish list soon! Thanks for sharing your thoughts on this Tamara! I am sooo excited about your new course! 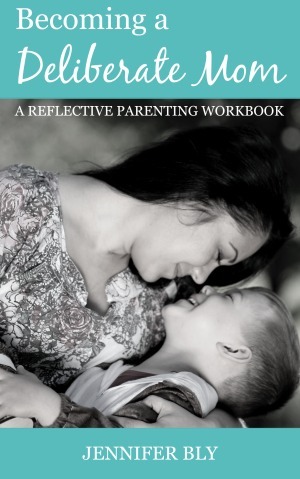 I am pinning and sharing this course! Thank you so much for the encouragement (and for spreading the word by sharing)! Muchly appreciated my friend! Oh Chris… I’m so excited for you! I hope you get loads of tips from this course – please let me know if you have any questions – I’m here to help. I love how a well-managed life can be beneficial for our productivity in so many other areas — blogging or otherwise! Congrats on releasing this course! I well managed life makes ALL the difference. Thanks for the warm congratulations my friend! Thanks for all year other great ideas too! Can’t wait to get that course ordered! I’m delighted you enjoyed this Stefani! Meal planning is the best – it makes such a difference (as with daily cleaning too)! I would love to have you in the course. I’m certain it will be of help to you. Thanks for sharing your thoughts on this Stefani! OOh that’s awesome! Congrats on you course!! Such an important topic too, because we can really get lost in the world of blogging and so much time goes by. I’m so glad you enjoyed these pointers Julie (and thank you for the warm congratulations on the course)! So many great tips here, Jennifer! Time management is my absolute #1 struggle with blogging. I never imagined how hard this one aspect could be. I’m so excited about your new class! What a wonderfully helpful product you’ve created. I’m overwhelmed with blog classes I’m behind on right now (obviously from time management issues…) but definitely hope to take yours sometime in the future :). Thank you for offering this much needed class. Time management is key when blogging and I’m glad you enjoyed these tips Candace. I would completely agree with a daily ‘to do” list. It helps keep you on task and organized. I have been using one for quite sometime now, It makes a difference in my time management. Doing one cleaning chore a day is a great idea. I usually reserve one day (a full morning) to this, a week but I will try your suggestion. Thanks! I love, love, love, the habit of a daily cleaning chore. I’m much happier (and more productive because I don’t get burnt out by a big cleaning task). These are all great tips Jennifer. Lists are so important for me to get things done. I love that you created a course around this. I know so many people will benefit. I’m so delighted you enjoyed these tips Tiffany! Thank you so much for the kind and encouraging words. I hope this course blesses and helps all those who need it! THIS IS AWESOME!!! Thanks for all the amazing tips, and I know it’s cutting it at the last minute, but we’re on our way home from a trip and in the mountains, so I really need to think about this course!!! I know I’ll love it! I’m delighted you enjoyed these tips Tabitha! Thank you for your kind and encouraging words too – I’m pretty excited to be offering this course. I love your blog, so cheery and helpful! Aww, thank you so much Sandra. I’m delighted you’re enjoying it. Always love reading about people’s life hacks – one that consistently pops up – meal planning. I JUST NEED to do it. But I don’t – sigh. Maybe this week will be the week I get it together and make it priority. Great post – #ShineBlogHop. I love life hacks too – I always glean some new inspiration or idea! I encourage you to schedule some time to do your meal planning – it’s more likely to happen if you have a date on the calendar (or an alarm on your phone) to do it. Thanks for sharing your thoughts on this Candace. These are such fabulous tips! My mother-in-law watches my daughter once a week so I can have an entire day to focus on my work. I finally started meal planning a few months ago and it’s been a time-saver! This sounds like a great course you have put together. I love that you have help like that… it makes all the difference, doesn’t it?! Meal planning is amazing. I just love it – and I can whip up a plan in less than 1/2 an hour now. Thanks for sharing your thoughts on this Bev! The online grocery shopping is AMAZING! It has done wonders for my schedule. I hope you have something similar in your area too! Thanks for sharing your thoughts on these tips to manage your life while blogging. I love the idea of capitalizing on time your kids are doing activities. My middle daughter will have soccer training three times a week this fall. I’ll use that time to get to free Wi-Fi and knock out a few things. Sounds like an awesome plan to use that soccer training time to get your blog work done! Thanks for sharing your thoughts on this Eli!